What to cook when you see your best friend for the first time in 3 months? 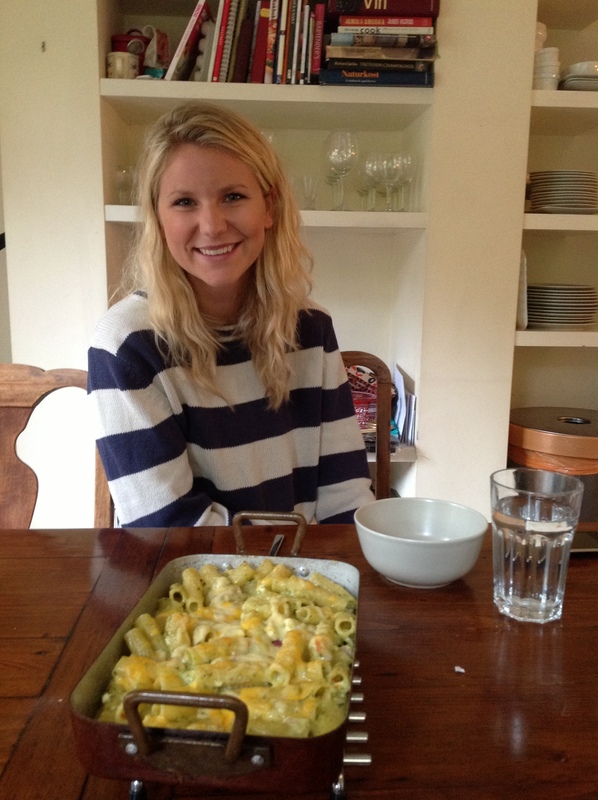 Pasta-Pesto-Feta Cheese bake off course! Cook the pasta. Mix with pesto (home made! 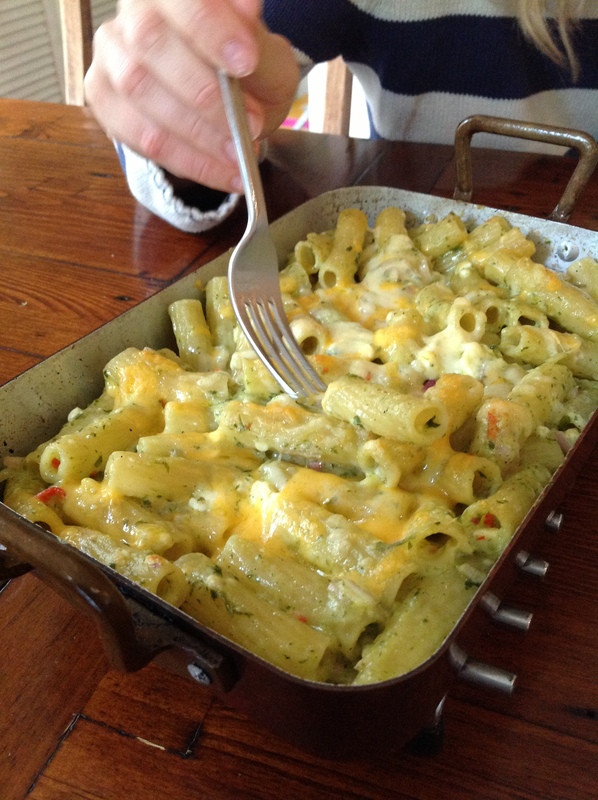 ), a sauce of butter, flour, milk and cheese, 1/2 red onion, 1/2 chili, loads of feta cheese and sprinkle even more cheese on top. Bake in the oven for about 10 minutes and then enjoy with your best friend whom you couldn’t be happier to spend a whole day with!